“Gist”: A (semi-) flexible foam with a Tg of around body temperature is prepared from a mixture of PO polyols and TDI. Why it is interesting: a The viscoelastic foams of this invention are prepared from a mixture of popyoxypropylene diols and triols with molecular weights varying between 200 and 3000 (up to 5 different polyols in the examples) together with TDI 80:20, water and conventional additives. Because of the all-PO polyols the foams have to be post-cured at high temperature (‘hot cure’). 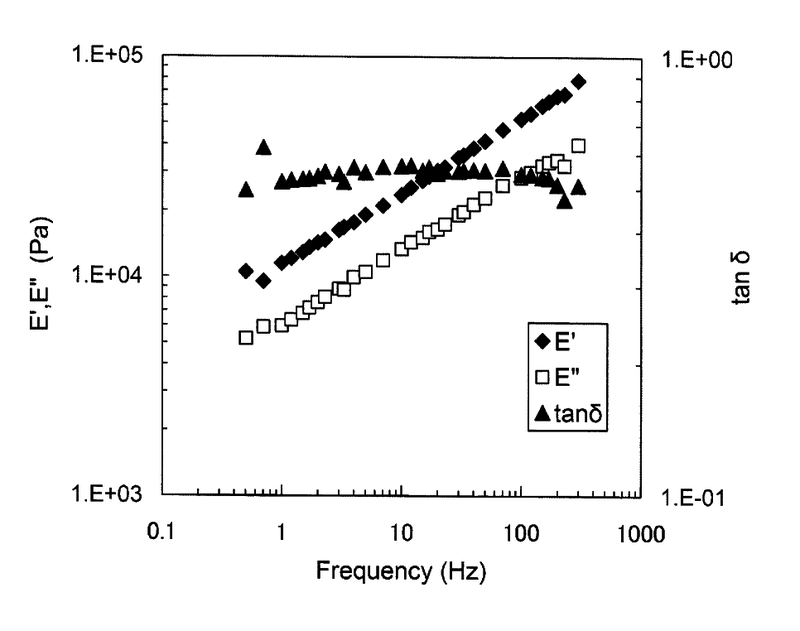 The foams have a damping (tan δ) of over 0.4 between 0 and 40°C (measured at 1Hz in the examples) and between 0.1 and 100Hz (measured at 25ºC) as shown in the graphs below. 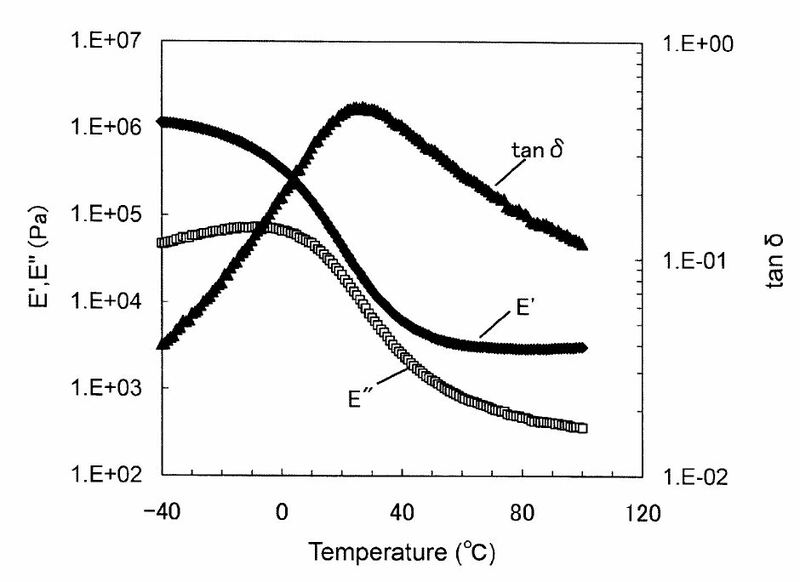 (Note that because of the time-temperature superposition principle the second graph is actually redundant.) The foams are supposedly useful ‘to be worn on the body’ – I suppose they mean liners for helmets, shoes, pads, sports gear and the like.